Located in the heart of Downtown Solvang. Relax and unwind with our Heated Pool and Outdoor Spa. Business and intimate gatherings up to 40 people with Kitchen. Walk to PCPA Theater, Shopping, and Restaurants. The King Frederik Inn is conveniently located in the heart of Little Denmark, USA with easy access to the annual Danish Days festival and other popular attractions in Solvang. The King Frederik Inn does offer a shuttle service, reservations required. Hotel guests will also be close to historic California missions, local wineries, shops and restaurants and the Vandenberg Air Force Base. For outdoor recreation the hotel is close to a variety of beautiful golf courses as well as boating and fishing at Lake Cachuma. 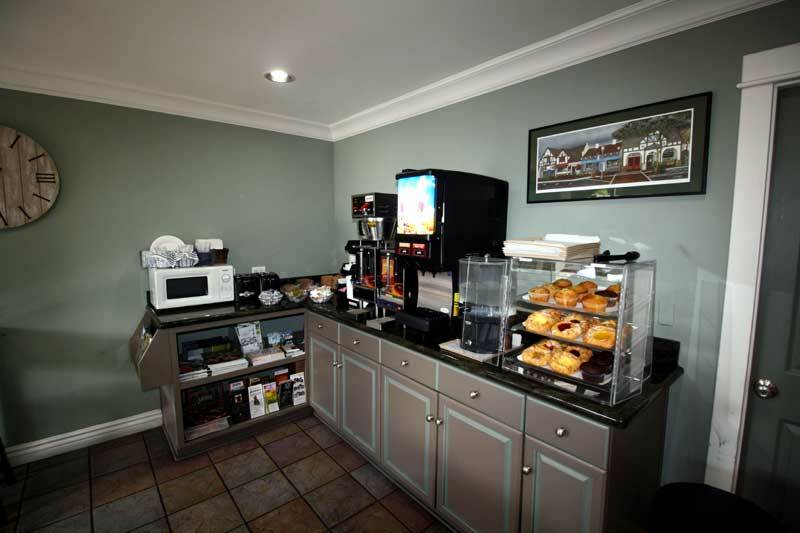 The hotel offers a complimentary continental breakfast that is served daily with fresh danish pastries. Other hotel amenities include a heated outdoor pool and newly remodeled spa. Each well-appointed room has been recently remodeled with new carpet, paint, bedspreads, and new mattresses. Features free Wi-Fi on the entire property, cable satellite television with HBO®, and a 24 hour front desk. Refrigerators and microwaves are available in ALL rooms. The front desk/lobby area is ADA accessible from our courtyard. Our pool and hot tub area are also ADA accessible. We serve complimentary pastries and juice/coffee every morning in our lobby that can be taken back to the room or enjoyed on our accessible patio. ADA parking is available on site. A friendly, experienced staff is ready to ensure a comfortable and memorable stay. 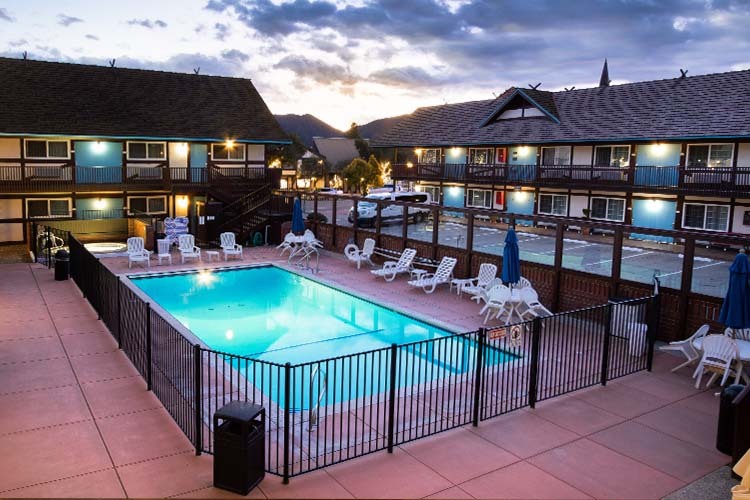 Make an online reservation today and save at this Solvang, California hotel! Welcome to the King Frederik Inn! All Rooms are NON Smoking and NO Pets Allowed. The King Frederik Inn does offer wine shuttle tours. Spend a lovely afternoon wine tasting through the scenic Santa Ynez Valley. Shuttle is a 4 hour excursion and you taste at 3 different wineries. There is $50 resort fee per person for this endeavor. All-inclusive excursions with three paid tastings and lunch for $89 per person. Reservations required in advance to accommodate guests. Wine Tours and Shuttle Service Available. Reservations required. Complimentary Danishes, Muffins, Juices and Coffee 7a-10a Daily! ADA Accessible parking lot, ground lobby, and pool area! Activities : From quick day trips to mid-week getaways to hiking and cycling, Solvang, the only danish community and the most unique of California's Central Coast destinations, is the place to relax and enjoy the European ambience. Casinos : The gaming floor includes 2,000 Slot machines, dozens of Table Games, Bingo, Poker, daily cash and prize giveaways, and a weekly car giveaway that places lucky Club Chumash members behind the wheel of the latest luxury automobiles. Dining : Enjoy the incredible variety of flavors to savor and the International cuisine offered in Solvang restaurants. Downtown : Solvang - A place for relaxing peaceful vacations, where you will find hotel deals for leisure travel in the historic town of Solvang's Danish Village. Enjoy more than 20 wine tasting rooms in Solvang, and the 100+ vineyards and wineries of Santa Ynez Valley. Golf : The striking panorama of the Santa Ynez Mountains provides the backdrop for the River Course, where golfers can experience majestic beauty and rustic elegance. The course maintains an atmosphere of quiet escape by immersing the player in a serene riverside. Hospitals : Offering acute-care services to the Santa Ynez Valley since 1964, SYVCH provides outpatient surgery, 24-hour emergency services, and a physician office lease program that brings specialists to the Valley on a regular basis. Wineries : In Santa Barbara County, Santa Ynez Valley is one of three distinct American Viticultural Areas (AVAs), also known as wine appellations—the other two are Santa Maria Valley and Santa (Sta.) Rita Hills—together comprising more than 21,000 acres of vineyards producing more than a million cases of wine annually. The regions east-west orientation of the coastal mountains forms valleys opening directly to the Pacific Ocean. This unique topography allows the flow of fog and sea breezes to shape distinct microclimates, perfect for the cultivation of classic grape varietals resulting in world-class wines. Welcome to our great hotel in Solvang California with affordable rates and cheap budget discount lodging. King Frederik Inn welcomes you to our budget hotel in Solvang California. King Frederik Inn will provide you excellent customer service with great amenities in comparison to all Hotels and Motels in Solvang California. Please visit us on your next stay in Solvang California and let us provide you with 4 star hospitality for 2 to 3 star budget rates. 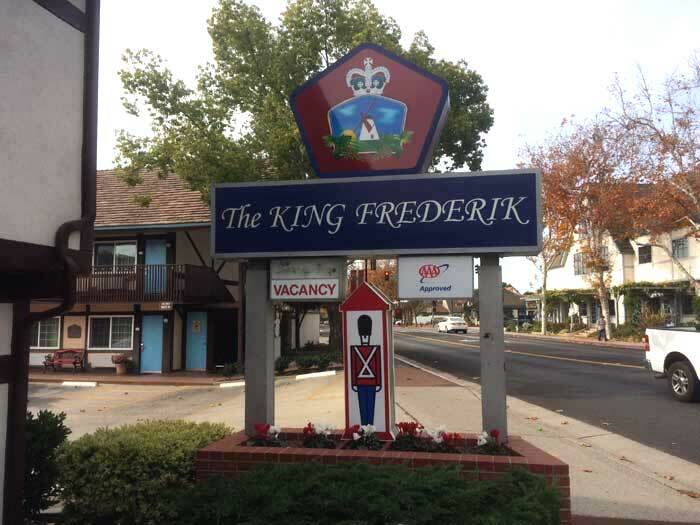 King Frederik Inn has been providing lodging and accommodations in Solvang California for several years and looks forward to providing our valued customer and business traveler with the best service in Solvang California for Hotels and Motels in our local area.